Top 5 WXnation.com city weather and webcam pages visited Wednesday: 1. Orlando 2. West Palm Beach 3. Miami 4. Toronto 5. Boston … See the top 20 so far this month in the left column of our home page. From the folks at WeatherBugÂ®: Streaming up-to-the-minute commuting updates are now available in WeatherBug 6.0 to 34 regions via 19 metropolitan areas. WeatherBugÂ® made the announcement Monday. The cities are: Baltimore, Boston, Chicago, Dallas/Ft. Worth, Detroit, Houston/Galveston, Los Angeles, New York, Phoenix, Philadelphia, Pittsburgh, Providence, Orlando, Sacramento, San Diego, San Francisco, St. Louis, Tampa/St. Petersburg, and Washington D.C. More cities are being added over the course of the year. Top 5 WXnation.com city weather and webcam pages visited Tuesday: 1. Washington, D.C. 2. New York City 3. West Palm Beach 4. Orlando 5. Philadelphia … See the top 20 so far this month in the left column of our home page. 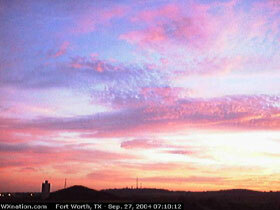 Image (left): WXnation.com’s Fort Worth Webcam captures colorful Texas sunrise, Sept. 27, 2004. Finding Fall Foliage: Live Webcams Capture Splendor Of The Season … while I’m not mentioned in the story, feel free to check out the thousands of webcams by city on this site! Top 5 WXnation.com city weather and webcam pages visited Monday: 1. Atlanta 2. Columbia 3. Orlando 4. Charlotte 5. Jacksonville … See the top 20 so far this month in the left column of our home page. Find all streaming radio stations by city at Radio-Locator.com (AM News/Talk format best bet). Notes: The latest 5-day projected track suggests Jeanne will move up central Georgia and toward the Carolinas as a tropical depression by Tuesday. THE TROPICAL STORM WARNING ON THE FLORIDA GULF COAST WEST OF APALACHICOLA AND SOUTH OF ANCLOTE KEY HAS BEEN DISCONTINUED. — A TROPICAL STORM WARNING REMAINS IN EFFECT ON THE ATLANTIC COAST FROM NORTH OF COCOA BEACH NORTHWARD TO THE SAVANNAH RIVER…AND ON THE GULF COAST FROM ANCLOTE KEY NORTHWARD TO APALACHICOLA. … and Top 5 for Saturday (no surprises here): 1. West Palm Beach 2. Miami 3. Orlando 4. Jacksonville 5. Tampa … See the top 20 so far this month in the left column of our home page. Top 5 WXnation.com city weather and webcam pages visited Friday: 1. West Palm Beach 2. Houston 3. Orlando 4. Miami 5. Dallas-Fort Worth … See the top 20 so far this month in the left column of our home page. Twin Forecasts: Penn State students Hope To Be First Identical Twin TV Meteorologists In U.S. — One could describe that it is partly sunny, and the other mention that it is mostly cloudy! Astronomy Picture Of The Day: On clear, moonless nights, the stars still come out with a vengeance above the high-altitude La Silla astronomical observatory. Taking advantage of a recent visit to the first European Southern Observatory site constructed on a mountain top in Chile, ESO software engineer Nico Housen recorded this stunning sky view. Top 5 WXnation.com city weather and webcam pages visited Thursday: 1. Houston 2. West Palm Beach 3. New Orleans 4. Orlando 5. Mobile … See the top 20 so far this month in the left column of our home page. Living On The Bright Side Of Town: As a resident of north Fort Worth, I can happily say that I am just minutes away from the second-oldest burning light bulb, which was first flicked on back on Sept. 21, 1908. Details on the bulb and its’ 96th birthday party here. Now, if I can just get my backyard porch light to stay burning for longer than three weeks, I’ll be set! What Was That Song On The Weather Channel? : Earlier this summer, I added an entry here about tracking down Ryan Farish’s “Beautiful” CD after hearing “Full Sail” played during TWC’s “Local On The 8’s” segment. [Farish’s music clips and a streaming Internet broadcast here] Yesterday, visitor Greg Davidson commented that he was searching for songs played on the local forecast back in the late ’80s and early ’90s. He included a link to TWCclassics.com, which has an extensive audio library, video clips of old local forecasts and much more. Ah, the old computerized white-on-purple scrolling text and primitive graphics… Thanks for the link, Greg! Top 5 WXnation.com city weather and webcam pages visited Wednesday: 1. Panama City 2. Mobile 3. New Orleans 4. Miami 5. Denver … See the top 20 so far this month in the left column of our home page. weather.com’s Ivan Numbers: Web site traffic on Sept. 15: 73.5 million page views from 7.25 million unique users, and a couple-dozen may have come through us first! Top 5 WXnation.com city weather and webcam pages visited Tuesday: 1. Panama City 2. Mobile 3. New Orleans 4. Orlando 5. West Palm Beach … See the top 20 so far this month in the left column of our home page. Tropical Storm Lisa could be a threat to land by the end of the month, but the latest projected track suggests this one, like Karl, will turn to the north and out to sea. Top 5 WXnation.com city weather and webcam pages visited Monday: 1. Panama City 2. Mobile 3. Orlando 4. Miami 5. New Orleans … See the top 20 so far this month in the left column of our home page. Top 5 WXnation.com city weather and webcam pages visited Sunday: 1. Panama City 2. Mobile 3. Pittsburgh 4. Phoenix 5. New Orleans … See the top 20 so far this month in the left column of our home page. 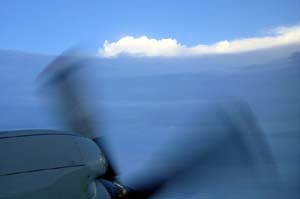 From the archives: My Sept. 19, 2003 entry into this blog on Isabel, which hit North Carolina with 100 mph winds. 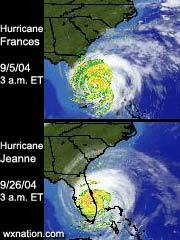 A few days later, KXAS-TV Meteorologist Rebecca Miller debunked the fake photo to the right, which claimed to be of Hurricane Isabel. To her amusement, I added a little something to it. Top 5 WXnation.com city weather and webcam pages visited Saturday (an interesting mix, too…): 1. Pittsburgh 2. Panama City 3. Mobile 4. New York City 5. Phoenix … See the top 20 so far this month in the left column of our home page. 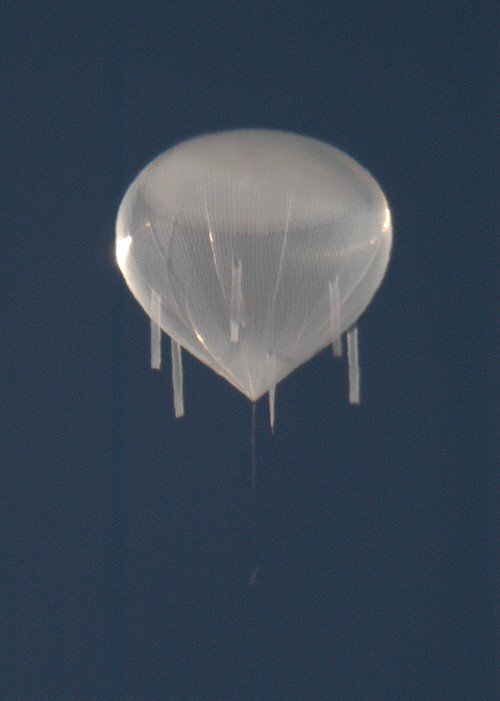 Image (left): Courtesy NASA. 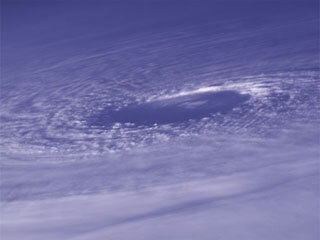 Ivan’s Eye, taken Sept. 11 from an altitude of about 230 miles by Astronaut Mike Fincke on the International Space Station. Click on image for big version … great for your desktop’s background. 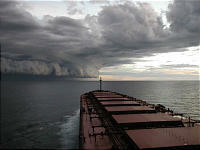 More images/larger version. Ivan Deadliest Hurricane In U.S. 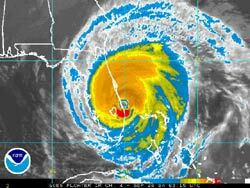 Since 1999’s Floyd; Death Toll In U.S., Caribbean At 115: Ivan is blamed for at least 45 deaths in the U.S. and 70 deaths in the Caribbean [making it the deadliest U.S. hurricane since Floyd in 1999]. 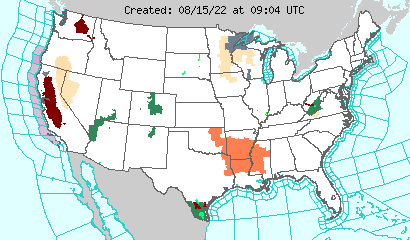 Flooding has become a major problem across the Southeast, the Appalachians, the Mid-Atlantic states and the Northeast. Current Regional Watches/Warnings Map | U.S. Watches/Warnings Map | Latest flood-related stories … Ivan, with maximum sustained winds near 130 mph, came ashore at about 2 a.m. CDT Thursday as a strong Category 3 hurricane in the Gulf Shores, Ala., area in Baldwin County, southeast of Mobile. By Thursday night, more than 3 million residents were without power and there were reports of “devastation” in Pensacola, hundreds of homes damaged, flooding and downed trees. WRAL-TV 5, Raleigh: Ivan Kills 9 In Western N.C. 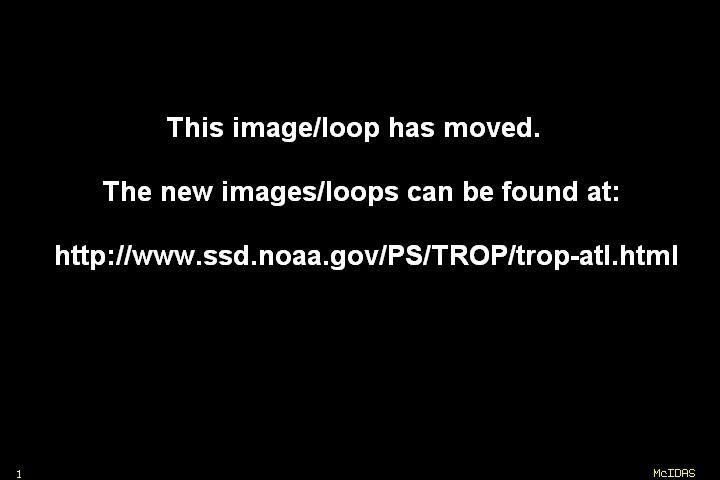 Final Data For Ivan: Last public advisory | Advisory Archive | From the 10 p.m. CDT Thursday Tropical Prediction Center update: Ivan was downgraded from a tropical storm to a tropical depression with maximum sustained winds dropping from near 60 mph to near 35 mph. Early Sunday, Ivan’s maximum sustained winds peaked at 165 mph, making it a strong Category 5 hurricane. 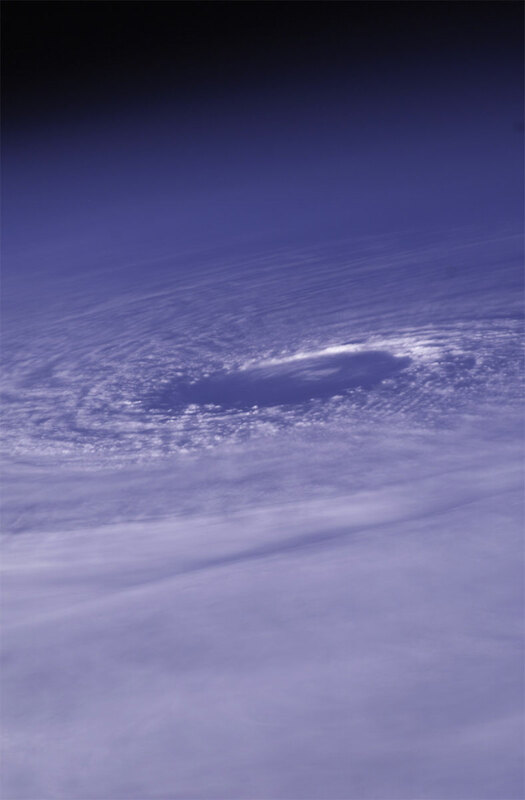 When Ivan made landfall, hurricane force winds extended outward up to 105 miles, and tropical storm winds extended outward up to 290 miles. Minimum central pressure was up from 980 millibars to 986 mb. Ivan was at 910 mb early Sunday, making it the sixth lowest central pressure on record for a hurricane in the Atlantic basin [Top six listed to the right]. Ivan was moving NNE near 14 mph (interactive hurricane tracker here). At 10 p.m. CDT Thursday, the center of storm was 25 miles NNW of Gadsden, Ala. Rainfall accumulations of 8 to 12 inches, with locally higher amounts, were possible in the path of Ivan through Saturday. 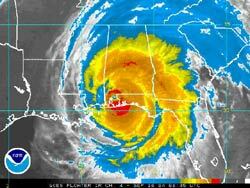 Examples of Ivan’s power: Wednesday night, buoys 75 miles off Alabama’s shore indicated seas as high as 50 feet, and later that night, the Dauphin Island, Ala., weather station reported a wind gust to 102 mph; wind gusts up to 200 mph were reported in Grand Cayman; and in the 8 p.m. Monday Public Advisory, a station in Pinar Del Rio reported sustained winds of 124 mph and gusts to 162 mph. Advisories: Last public advisory for Ivan … National Weather Service Watches & Warnings Maps: Entire U.S. | Eastern U.S. | Panama City/Tallahassee | Mobile, Ala./Pensacola, Fla. | Birmingham/Central Ala. | New Orleans/Baton Rouge | SE Texas/SW La. | Jackson/Central Miss. | Eastern Tenn. | Central Tenn.
Top 5 WXnation.com city weather and webcam pages visited Friday: 1. Mobile 2. Panama City 3. Pittsburgh 4. New Orleans 5. Knoxville … See the top 20 so far this month in the left column of our home page. WXnews … Weather Channel Record; Weather Web Sites Enjoying New Records Too; Good Amid The Bad; Ivan Releases Gators; Minor Earthquake Shakes Kentucky; Was That A UFO? Weather Web Sites Enjoying New Records Too: Weather Sites See Record-Breaking Year — This site included: The vast majority of our Top 20 most-visited days have come over the past few weeks. Thanks, each of you for choosing to visit this site when there are so many other options out there! Top 5 WXnation.com city weather and webcam pages visited Thursday: 1. Mobile 2. Panama City 3. New Orleans 4. Atlanta 5. Birmingham … See the top 20 so far this month in the left column of our home page.